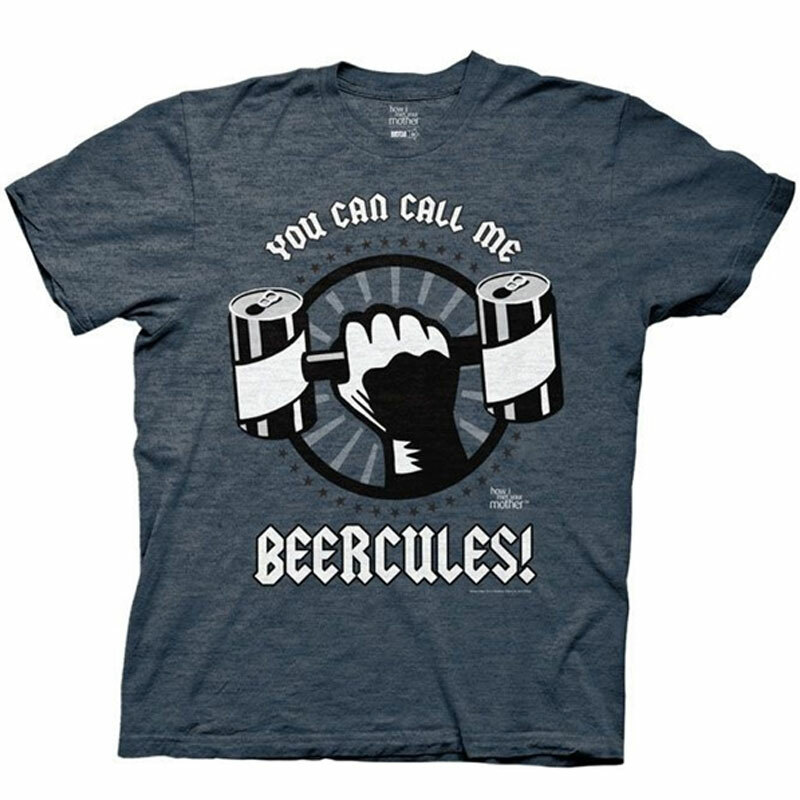 For those of us who love "How I Met Your Mother", we know Marshall's alter ego "Beercules" all too well. We actually all kinda relate to the messy, streaking, Beer guzzler. So when you wear this shirt, we'll know your super powers are in effect. We'll also pretty much bet that someone is getting a video camera out to record every glorious moment of your downfall... err, rise to the top. This T-Shirt may be the end of your professional career but it will grant you supreme rule of the party! Feature: - Made of a thin, 100% cotton, screen printed with a modern fit. Navy blue. Unisex.